Our Mother was born July 18, 1935 in Oregon City, OR. May 19, 2012 she passed on at age 76 in Clovis, CA of natural causes. 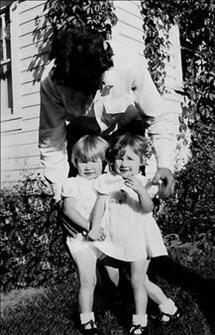 Mom was the first born, by moments, along with her sister Betty to our grandparents Daisy and George Sutherland. Brothers Blane, Ronnie and John, sisters Jodel and Geneva followed. Mom began her career in Portland, Oregon, a single Mother working as a telephone operator. She remarried to Bill Camplin and after a while she gave birth to her daughter Lorrie. We moved to Clovis, CA where she gave birth to her daughter Diane. 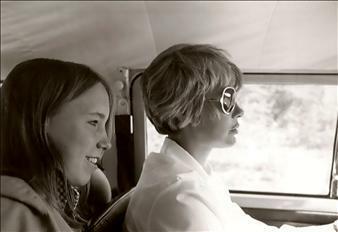 The summer of 1968, Mom along with her family moved to Kenai. She took on the position as sales clerk with Northern Commercial which became Nordstroms. After moving to and building a home just outside Soldotna in 1969, Mom began to drive a school bus for Burton Carver. Later, Mom became employed with the Alaska Dept. of Motor Vehicles located in the old Soldotna city hall bldg. People would drive from Kenai to seek her help versus use the Kenai office. One lady from Seward even drove home to get her documents and make the drive back just because Mom knew what she was doing and as well, knew how to be of help. Mom had the lowest error rate in the state for DMV employees. She liked being correct. Mom enjoyed gardening, especially, she loved her strawberry hill in her backyard. She also enjoyed playing sports and was a member of the first women's softball team in Soldotna, which routinely out scored the youngsters from north Kenai. She, along with Renny Hensler Seaberg, became co-coaches for the first charter Little League Girls Softball Team in the state of Alaska. She enjoyed the coaching, the fundraising, the driving of the team bus to tournaments in Fairbanks or Anchorage. Mom loved her bowling friends, more so than the bowling which she enjoyed also. Mom moved to Portland, Oregon, where she continued her education to become a real estate agent and Tax Examiner. She then moved to Squaw Valley, CA where she built herself a fine home on the mountain named after the Dalton boys. It overlooked Squaw Valley and the central Valley in the distance. She worked as a realtor. Her love of Alaska and the friends she came to know and cherish were always in her thoughts, so, she moved back to Soldotna. She worked at the Bunkhouse for awhile and then for Thompson's Gift and Jewelry. Of all her jobs, this was her favorite. She loved the owners BJ and Billy, and she really loved jewelry. Mom moved back to her home in Squaw Valley and began to work for the IRS, making the commute to Fresno. She retired in 1996 and after 10 years with the IRS. 2003, she moved to the valley and shared a home with her daughter Lorrie. Mom was a voracious reader and was always ready to play card and board games. She was especially good at keeping track of the cards, for she meant to win. Mom lived her life well. She moved through life speaking softly and by example. She was kind and gracious to the fol ks she met along the way. She embodied dignity. Mom was pre-ceded in passing on by her parents and her daughter Diane Camplin Crandall and Bill Camplin. 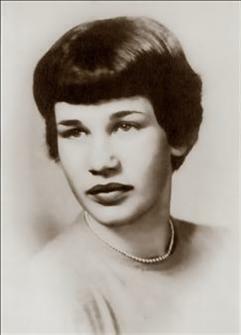 She is survived by her son Randal and daughter Lorrie Camplin, her twin sister Betty Holleman, her brothers Blane, Ronnie and John Sutherland, her sister Jodel Call and Geneva Jacobs. Her grandchildren, Carly Crandall Mitchell and Ashley Crandall, great Granddaughter Chole Diane Mitchell. We love and miss our mother, our sister, our friend and the tears of our love for her are flowing. Her smile is how Mom would want you to remember her.